Even if Lance has been dead for a long time, Valkyon has never really gotten over his disappearance. One day, a rumor rekindles the fire of hope and brings Valkyon to Balenvia. Is the Obsidian ready to know the truth about his lost brother? Will he obtain the answers he's been waiting for? After having roamed through Leiftan’s thoughts in the spin-off Through the eyes of an angel, you are going to be able to interfere in the thoughts of the Obsidian leader. Note: To fully enjoy this spin-off, we advise that you play through episode 23. 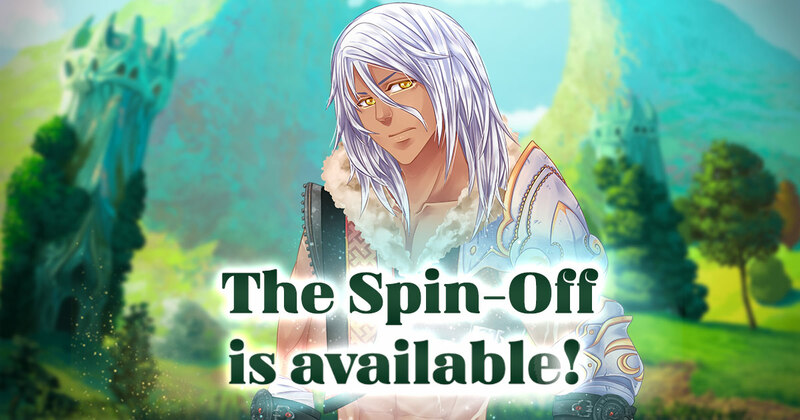 The spin-off is available in GC. You will have the occasion to obtain one new illustration during this episode! In your opinion, which backgrounds do you think you will discover? Note: The other background will be available in the shop after you finish the episode. Do not spoil in this topic. Add your opinion/spoil in the section The Game, Eldarya in the [Ep] Reactions: Spin-off: Double-edged thread. Your opinions concerning the episode are valuable to the team. Thank you for remaining polite and cordial when communicating with other players and the game team. This interests me, but I still don't know if I buy it or not. I would like to know more about this Spin-off before I make a decision. Tbh I think there should be a Maana option available for those who for whatever reason cannot buy GC with real money. Obviously, the price would be high (to match the GC) but it would give those players a chance to enjoy spin-offs, too. Anyway, thank you for the spin-off. It seems really interesting, so I might even buy it at some point. Finished it, tho the second background isn't in the shop. Running around Belenvia's caves is still annoying, even when it's free. Oh yay, I hope all the boys eventually get spin-off episodes then! Not sure yet if I'll buy this one, perhaps a manaa option will be considered in the future. Excited to play it looks really good! How long did it take you guys to trigger the event in the caves when you're giving chase? I've been moving around the entire map for 2 days with nothing happening no matter where I go. It's a good thing my maana isn't being wasted in this episode. I got the inner dialogues and the flashback of the conversation with your character, but nothing has happened since. Is there a specific area this event is supposed to happen? Yes, I cleared my cache. For an awesome band and comic check out September Mourning! New graphic novel now available!